According to the marketing research firm Nielsen, teenagers are less likely to hold actual phone conversations and more likely than any other age demographic to send text messages instead. 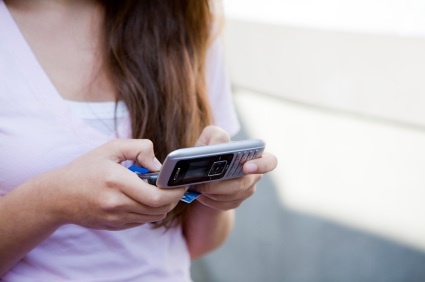 The number of messages exchanged monthly by teens averaged 3,417 per teen in the third quarter of 2011, the period studied. That’s the equivalent of an average of seven messages per waking hour. Interestingly, teenage girls were more likely to send text messages – 40 percent more messages than boys, or an average of 3,952 text messages in a month compared with 2,815 text messages a month. But overall, teen males had the most cellular activity – including use of mobile Internet, social networking, email, app downloads, etc., consuming 382 megabytes per month while females used 266 megabytes.